"Notably, firm size is not a factor; we see firms in the Study outperforming this way in every peer group." SAN FRANCISCO--(BUSINESS WIRE)--According to the results from the 2014 RIA Benchmarking Study by Charles Schwab, independent registered investment advisors (RIAs) have achieved record growth and the highest profitability of any year since the inception of the Study in 2006. While market performance has played an ongoing role in the growth of assets under management (AUM), an increasingly important proportion of RIA firm success is being driven by steady organic growth alongside the application of greater levels of strategic business practices and operational discipline. RIA firms of all sizes (based on AUM) have seen remarkable growth since the market lows of 2009, according to the Study, with more than one-third (36%) of all firms doubling their AUM and revenues since that time. The median firm realized a 12.8 percent compound annual growth rate (CAGR) 1 in AUM and 13.6 percent in revenues. The median revenue climbed to $3.3 million, and one-third of these firms earned more than $5 million in revenues in 2013. 1. Institutionalizing their business by applying more strategic management practices and establishing greater levels of operational discipline. 2. Relentlessly focusing on high-quality organic growth, driven primarily by referrals from Centers of Influence (COI: business partners and other professionals, such as accountants and attorneys, who can influence a firm’s ideal client to consider hiring the firm) and relationship marketing. 3. Creating cycles of opportunity within their firms to attract and retain top advisor talent, including establishing paths to equity and ownership for the next generation of RIA leadership. With a disciplined approach to managing their businesses, firms are achieving organic growth more strategically. Referrals emerged as a chief component of organic growth in the 2014 Study, with 80 percent of firms citing acquiring new clients through referrals as a top strategy for growth. Forty-one percent said acquiring new clients through client referrals was the top strategy for growth this year (this strategy also ranked first for all firms in last year’s study) followed by acquiring new clients through business referrals (39%). Enhancing strategic planning and execution (29%) ranked third. Segmentation planning (28%) jumped into the top five in 2014, a marked increase from an 11th place ranking in 2013, which points to a stronger emphasis among firms looking to establish more efficiently run businesses. The Study points to the benefits of well-documented business planning as a means to maximize growth and profitability. Data indicates an increase from last year in the number of firms that have executed a strategic plan (61% in 2013 vs. 52% in 2012) and those that have a formalized succession plan in place (49% in 2013 vs. 44% in 2012). Institutionalizing client relationships (ensuring that clients are connected to the firm rather than to an individual advisor at the firm) and creating scalable operations were also cited by the Best-Managed Firms as foundational to helping them establish legacy. Growth remains a focus for all firms in the 2014 Study. Twenty-five percent of firms that doubled AUM and revenues since 2009 also expect to grow at this same pace over the next five years. Both Best-Managed Firms and the fastest-growing3 firms cited strong organic growth (defined as the change in assets from existing clients, new clients and assets lost to client attrition) as the driver for achieving such remarkable levels of growth over the past year. The data illustrates that the fastest-growing firms added approximately 30 percent more new clients through referrals than their peers, using COIs as a primary source of referrals. These firms also excel at relationship marketing and in the practice of training their entire teams to recognize, create and capitalize on referable moments. Many firms are also putting in place the structure to help them grow more efficiently by bringing on dedicated management to run the business. Forty-seven percent of firms with more than $1 billion in AUM reported having a chief operating officer to manage day-to-day business, affording principals more capacity to focus on serving clients and growing the business. Investment advisors consider talent a strategic asset, and one that is critical to successfully growing a firm from a founder-driven practice into a lasting enterprise. While talent continues to migrate to the RIA channel from wirehouses and banks – as well as from industries such as accounting and law firms – the Study reveals that 50 percent of new hires during the Study period left one RIA firm to join another. In the face of such fierce competition for talent, firms are doing more to create long-term opportunities for advisors within their ranks. Part of the talent-retention strategy at Best-Managed Firms includes establishing opportunities for employees to share in the success of the firm, along with creating pathways to ownership for the next generation of leadership. Larger firms are leading the way in the area of equity ownership: firms with more than $1 billion in assets have twice as many professional staff with equity than do firms managing $250 million to $500 million in assets. When it comes to recruiting talent, Best-Managed Firms add staff more strategically in support of their plans for growth. For instance, among firms managing more than $1 billion in assets, 70 percent have at least one CPA among their professional staff; whereas only 45 percent of firms in the $500 million to $750 million AUM peer group have a CPA onboard. Fifty-three percent of $1 billion firms reported having at least one JD on staff, versus 32 percent of firms with $500 million to $750 million in AUM. Schwab designed this Study to capture insights in the RIA industry, based on survey responses from individual firms. The 2014 study provides information on topics such as asset and revenue growth, sources of new clients, products and pricing, staffing, compensation, marketing, technology, and financial performance. Since the inception of the Study in 2006, more than 2,800 firms have participated, with over half being repeat participants. More than 1,100 advisory firms representing nearly three-quarters of a trillion dollars in AUM participated this year, making this the leading study in the RIA industry. 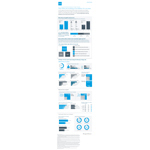 The RIA Benchmarking Study comprises self-reported data from advisory firms that custody their assets with Schwab. Schwab did not independently verify the self-reported information. Participant firms represent various sizes and business models. They are categorized into 12 peer groups - seven wealth manager groups and five money manager groups, by AUM size. The Study is part of Schwab's Business Consulting Services, a practice management offering for investment advisors. Grounded in the best practices of leading independent advisory firms, Business Consulting Services provides insight, guidance, tools, and resources to help advisors strategically manage and grow their firm. Unless otherwise noted, Study results shown are for firms with $250 million or more in AUM, representing the vast majority of total assets managed by this year’s participants. For general informational purposes only. Meant for investment advisor audiences. Independent investment advisors are not owned by, affiliated with or supervised by Charles Schwab & Co. Inc.
1 Median 4-year CAGR from period 2010-2013. 2 Best-Managed Firms represent advisors in the Study who are in the top 20% of qualifying firms, ranked by productivity (2013 revenue per professional), profitability (2013 standardized operating margin), revenue growth (2009-2013 CAGR in revenue), and net asset growth (2009-2013 net asset CAGR in net asset flows). The top 20% of firms was calculated after removing those with less than $1 million in revenue or fewer than two professional staff. Best-Managed Firms were selected without regard to peer group, and most groups are represented in the Best-Managed Firms group. 3 The fastest-growing firms are the top 20% of firms as determined by net organic growth (2009-2013 net organic CAGR). This cohort includes 108 firms out of 541, all of which have $250 million or more in AUM. This group represents 91% of the total assets of all firms in the Study. Net organic growth—the change in assets from existing clients, new clients, and assets list to client attrition—is the area over which RIAs have most control. Thus, it is the growth metric used for this analysis.